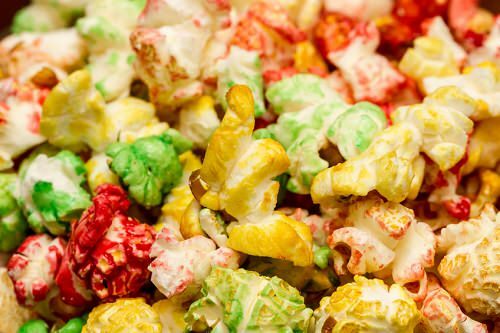 Make some popcorn and toss it with a little melted white chocolate and some Halloween themed sprinkles. Stuff it into plastic gloves and tie them off. These creepy hands are perfect for giving out as treats at parties. If you want to make the hands even more exciting, add a few drops of green gel coloring to the chocolate before mixing it with the popcorn.